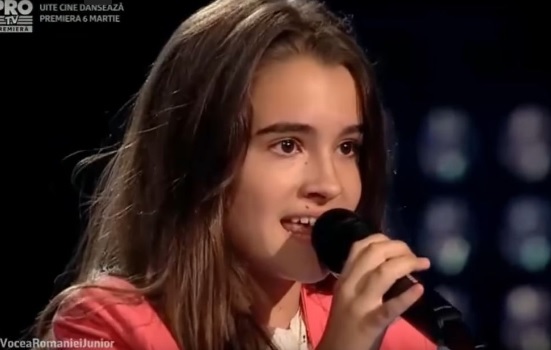 A little girl from Romania chose the Albanian song of Rona Nishliu in The Voice of Romania. Jessica Lazarescu interpretation impressed the jury with her particular voice. Was hard for Jessica to chose a song, however, he managed to marvel and made the audience to cry from her voice. Rona participated in the Eurovision Song Contest with the song "Suus", the interpretation of which is mentioned nowadays.